UL Listed. File Number: E87199. Manufactured using UL Listed or UL recognized components. Packaging - 30 per Carton or 100 in an extra strong fiber drum. Meets the requirements of the 2017 National Electrical Code: Articles 348.20(A)(2), 348.22, 410.117(A), (B) and (C), and 410.137(C). NOTE: Specify packaging requirements when placing your order. Add "C" suffix to indicate 30 Fixture Whips per Carton. 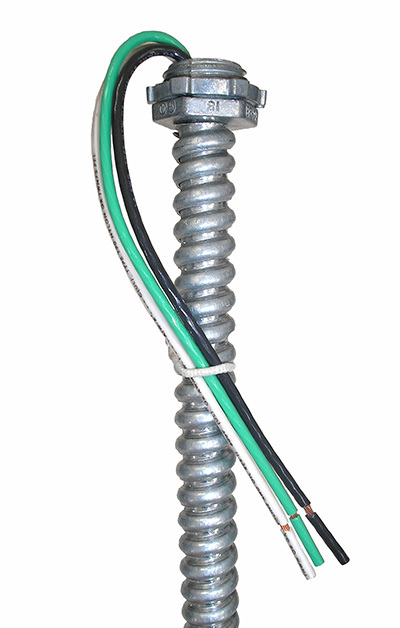 All solid wire conductors are stripped 5/8" (.625") from the end of the conductor and securely tied to prevent damage to the conductors. 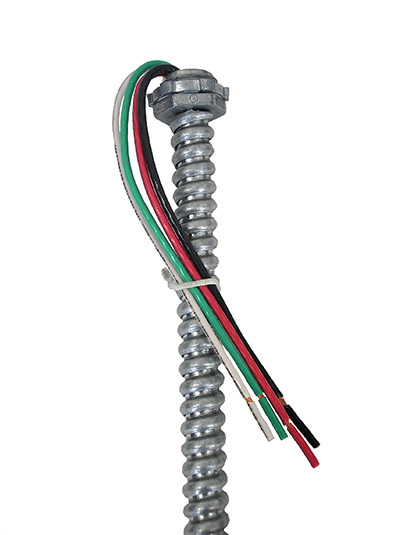 EPCO manufactures Fixture Whips for 277 Volt applications. Contact EPCO Inside Sales Department (800.336.1976 or sales@engproducts.com) for more specific information.